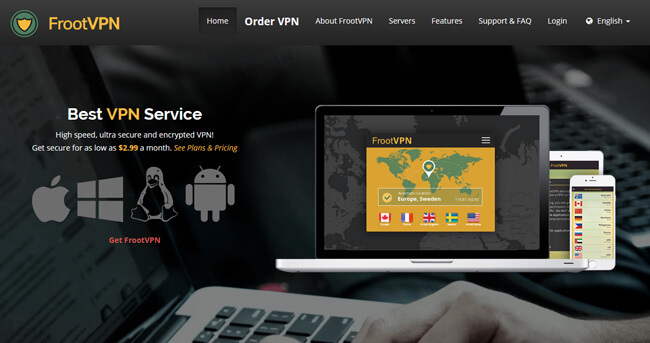 FrootVPN is a popular VPN service provider based in Seychelles. 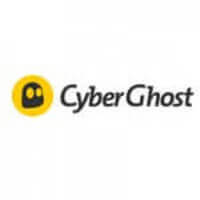 The goal of this company is to give everyone a chance to browse the Internet freely and anonymously. In order to achieve this goal, they offer excellent protocols with strong encryption at surprisingly affordable prices. 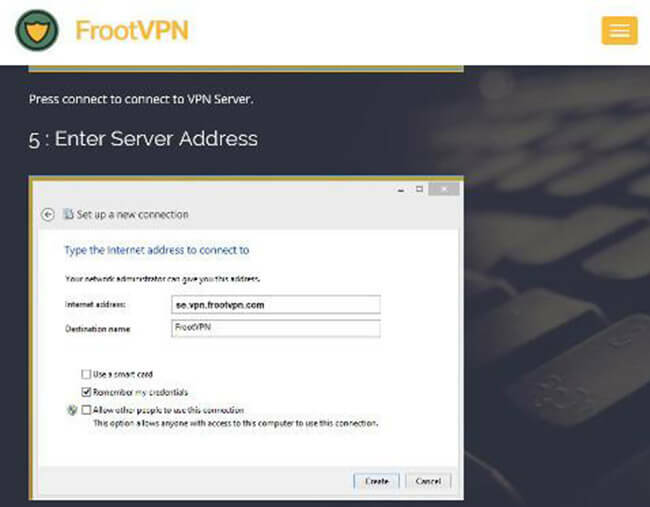 Our team of experts has made this detailed, informative FrootVPN review to help you decide if this VPN provider is right for you. FrootVPN provides extraordinary online protection for all its users. The strongest encryption and the best VPN protocols are at your disposal with FrootVPN. In order to start using FrootVPN, you have to subscribe to their services first and then you can download your FrootVPN installation file. The installation process is pretty simple – all you need to do is follow the clear instructions and the installation will be finished in no time. Unfortunately, activation isn’t that easy, but FrootVPN provides detailed tutorials to help you enable your VPN and choose which protocol you want to use. The interface is user-friendly, so if you’re satisfied with automatic settings, you won’t face any troubles. FrootVPN provides information about the server you want to use, also allowing you to easily switch to another server. FrootVPN gives you access to over 180 servers spread across 34 locations, including the United States, Brazil, Switzerland, Israel, Japan, and Australia. Although they don’t provide as many servers as other VPN companies, the company still provides a pretty nice mix of locations. All FrootVPN users enjoy unlimited bandwidth and speed. All servers are connected to 10Gbit/s backbone, which enables you to surf the Internet without any speed limitations or connectivity issues. FrootVPN provides a 99.99% uptime guarantee, promising that you won’t have any troubles with their VPN at least 99.99% of the time. Their top-notch protocols, high speed, and strong encryption make sure that your online presence stays anonymous. FrootVPN works on all major operating systems such as Windows, Mac, Android, Linux, Ubuntu, and iOS. You can use it on your computer, phone, iPad, Mac, and even on your router. With FrootVPN, you can use your VPN subscription on up to 5 devices simultaneously and protect your online data on both your phone and computer. You get high-level protection without even noticing it since this VPN doesn’t affect the speed of your connection. Every FrootVPN server in all 20 countries around the world is connected to multiple 10Gbit/s backbone in order to provide you with the greatest upload and download speed, no matter where in the world you’re located. Not only is your speed unlimited with FrootVPN but also your bandwidth. You can stream or download any online content without worrying about the size of the file or quality of the video. Everybody who loves torrenting will be happy to find out that FrootVPN, unlike many other VPN providers, supports P2P sharing. All servers support P2P traffic with unlimited speed and bandwidth. FrootVPN is dedicated to keeping you absolutely safe and anonymous while you’re online. That’s why they provide the best protocols and strongest encryption for all their subscribers. As already stated in this FrootVPN review, PPTP, L2TP, and OpenVPN protocols are available for all users of FrootVPN. If you decide to use OpenVPN, you gain access to the IPv6 next-gen protocol as well. FrootVPN keeps you untraceable thanks to high-level encryption and a zero logs policy. FrootVPN doesn’t save any activity logs, which is good news for all privacy-minded users. FrootVPN provides AES-256 CBC cipher combined with 2048-bit key and SHA-384 authentication. In addition to having a no logs policy, FrootVPN has a no NAT policy. This means that this VPN doesn’t allow network address translation, preventing any third party interfering. The company also implements perfect forward secrecy as seen by their TLS 1.1+ support. Your personal information can be additionally protected thanks to the fact that FrootVPN accepts BitCoin payments, so you don’t even need to share your credit card info with them. Customer support is excellent and always available. They provide round the clock ticket support, so you can easily resolve any issue you may have 24/7. The live chat option is available only during the regular FrootVPN business hours. In case you don’t have an urgent problem but would just like to learn more about FrootVPN, you can go through their detailed FAQ section. It is very informative, so you can learn a lot about VPN service or find answers to some of your questions without contacting support. FrootVPN doesn’t have a free trial version, but when you take a look at their subscription prices, you’ll realize that a free trial isn’t really necessary. FrootVPN claims that they’re the cheapest VPN service provider out there and they might be right considering their prices. There are 3 different subscription plans: for 1, 3, and 12 months. The monthly subscription costs $4.99 per month, the quarterly subscription costs $3.99 per month, and the annual subscription is only $2.99 per a month. In case you’re not satisfied with FrootVPN, you can cancel your subscription and get a refund within 30 days of purchase. FrootVPN accepts all major credit cards and also allows payments via BitCoin and PayPal. As we wrap up this FrootVPN review, here’s a quick overview of the features that wowed us and the aspects of the service that could use some improvement. Our ratings are the result of an objective and independent evaluation of FrootVPN, generating the final rating that reflects the overall quality of the company. Ratings may change as the service changes. FrootVPN user rating based on 3 user reviews. We found 2 verified FrootVPN discounts for April, 2019. Save 40% when you sign up for 1 year! Save 20% when you sign up for three months! Sign up and we’ll let you know about future FrootVPN promo codes. Discover the full range of possibilities FrootVPN offers and become an advanced user in no time with our beginner-friendly FrootVPN guides. Whether you are interested in secure torrenting, unblocking Netflix, setting up FrootVPN on all your devices or you simply want to learn more about FrootVPN, you can find verified information and clear instructions in our FrootVPN guides below. Does FrootVPN Work With Netflix? - which informs you whether you can rely on FrootVPN to help you stream US Netflix.